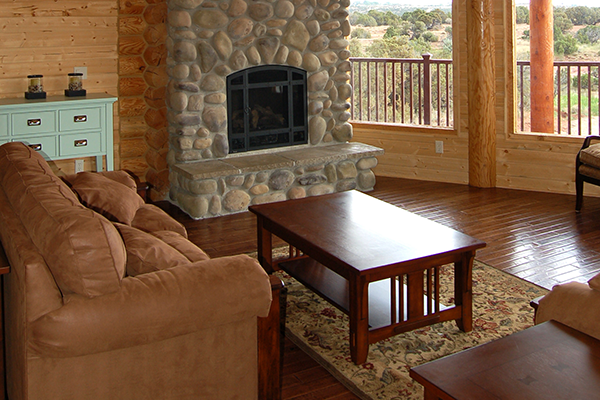 The backyard has a great lawn area, beautiful, 10-person, commercial hot tub, and a gas fire pit area. 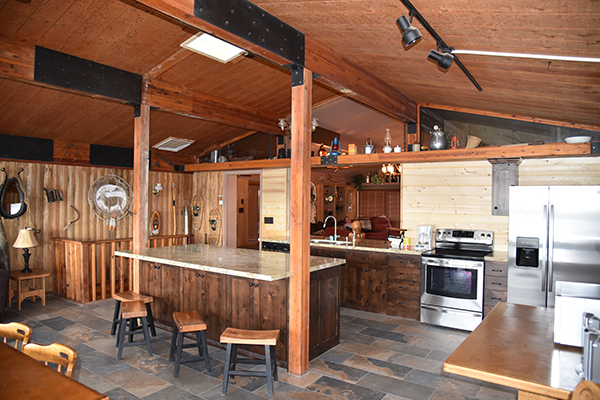 Trails lead from the backyard to a horseshoe pit and wood-burning fire pit and down to a dock area on beautiful Loon Lake where canoes and a rowboat are waiting for you. 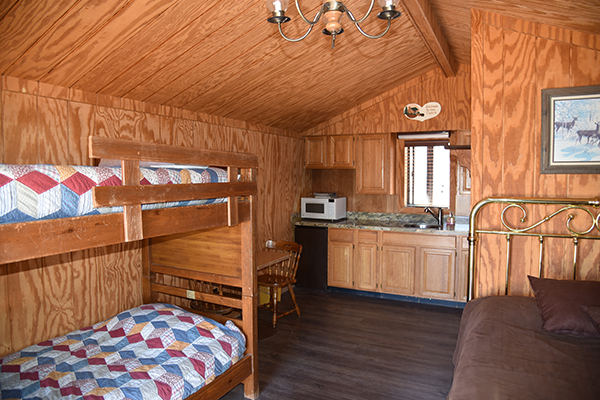 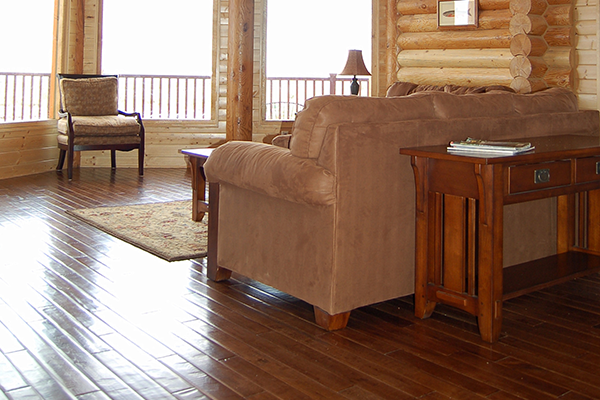 The Loon Cabin has central heating and A/C, WiFi internet, satellite TV, and a foosball table in the downstairs TV room. 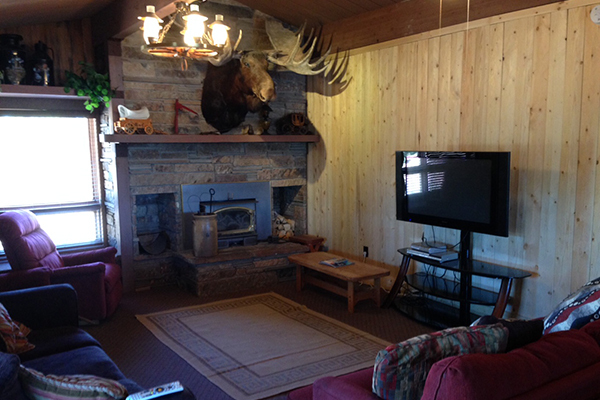 The bunkhouses are winterized from December 1 – May 1 and do not have running water.